For readers in the Birmingham, Alabama area. Our expert Rita Jablonski-Jaudon will be giving this 3-hour talk designed for family caregivers of persons living with dementia. The focus will be on concrete ways to approach dementia-related behaviors (repetition, refusals, wandering, aggression, anxiety). For more information, please contact Valerie Boyd at 205-874-1523. If you are in the area I highly recommend this. You can also bring a friend or your entire support group. If you are in the area I highly recommend this free conference. The course is being hosted by the University of Alabama Memory Disorders Clinic. Rita A. Jablonski-Jaudon, PhD, CRNP, FAAN, FGSA blends clinical research with clinical practice, offering persons with dementia and their caregivers the best of both worlds. She is a tenured Associate Professor at the University of Alabama at Birmingham School of Nursing, a Scientist in UAB’s Comprehensive Center for Healthy Aging, and holds a courtesy appointment in the School of Dentistry. She maintains a clinical practice in the Memory Disorders Clinic as a nurse practitioner. 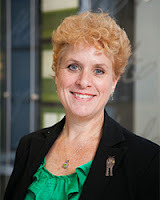 She is a Fellow of the American Academy of Nursing and the Gerontological Society of America. 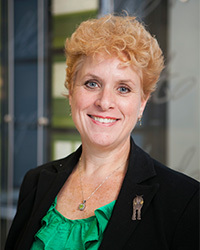 Dr. Jablonski-Jaudon is an established researcher who has received funding from the National Institutes of Health, Department of Defense, the Brookdale Foundation, and the John A. Hartford Foundation. She has over 50 publications and blogs for the Alzheimer’s Reading Room. In addition to her clinical and research responsibilities, she teaches nurses at the undergraduate, graduate, and doctoral level.